Join us for this special program! Past Branch President, Tory Hartmann, will discuss Writing and Publishing in the 21st Century: Tips, Tricks, Pitfalls. She will demonstrate the process of creating a book using online technologies and will focus on how the industry has changed in the past decade. We will also celebrate our Branch's 50 years with a fabulous lunch at the Yacht Club! During lunch, past branch presidents and long-time members will regale us with stories, and we will honor the elders of the club. Honorary Memberships will be awarded. Don't miss this grand celebration! Here is a teaser of the menu! TORY HARTMANN has been a member of the San Francisco/Peninsula Writers Club since 2003 and is the recipient of both the Jack London and the Louise Boggess Awards. After graduating from UC Berkeley, Tory worked as a political organizer, real estate broker, businesswoman and editor. As president of the SF/Peninsula branch from 2008 to 2011, she encouraged the branch to venture into publishing, and Fault Zone was born. This led her to start her own publishing company, Sand Hill Review Press. February is the month of love, romance and celebrating those we love! And, for the California Writers Club, it is also a month of celebrating writers, books and our own history. How are we going to do that? In the SF/Peninsula Branch, we have two big events in which we are participating. First is the San Francisco Writers Conference (February 12-14th), where we, as a branch, take the lead in "‘manning the CWC booth." 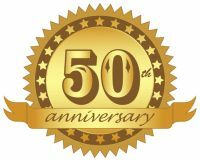 We will have the opportunity to share over and over again the CWC motto: ‘Writers Helping Writers’ and will let the 500+ conference participants know who the California Writers Club is, what we stand for, and what we do. Volunteers from other branches will join us, so it should be a great way to embrace the CWC spirit. Secondly, we will be celebrating the 50th anniversary of the chartering of our branch on the 20th of February. As a replacement for our regular monthly meeting, we will be gathering together at the very first place our branch formed: the Sequoia Yacht Club in Redwood City. We are planning a very festive morning and afternoon for you, which will include speakers, old friends, a fine buffet luncheon and expect some surprises! Be sure to sign up online on our website. Click here Bring your spouse or anyone else you feel would enjoy this once-in-every-50-years event! I hope to see all of you there! Notes from the January Program! 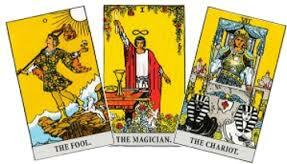 The tarot is rich with imagery and symbolism for writers, and Susan Gold gave us a fascinating overview at January's meeting. There are hundreds of tarot decks: Shakespeare, Fairy, Vampire, Baseball (really), Goth, Dali. A good website for exploring the variety is www.aeclectic.net. You might also like an iPhone app like The Fool's Dog Rider-Waite deck, called "The Classic 1910 Tarot." Find a deck you like. Pull one card or several to help develop a plot or character, reflect on your life, or prompt a poem. Watch your imagery come alive! Susan's delightful presentation gave our creativity a bright start in the new year. The CWC will have a booth at the 2016 San Francisco Writers Conference at the Mark Hopkins Hotel. We're pleased to have a presence at this conference that mirrors the mission of our own organization: to educate, encourage and support writers, agents, publishers and fellow creative spirits. The CWC is a full sponsor of the 2016 SF Writers Conference. Thanks to NorCal region for heading this up. Ten writers read their work! Come to hear writers introduce their latest and greatest, or sometimes old favorites. Join us on the third Wednesday of every month at 7:30 p.m. Admission is free. Open Mic is hosted by CWC member, Woody Mansergh at Reach and Teach in San Mateo. Language, Music, & Meaning where we examine the fascinating relationship between music and text. To register e-mail Charlotte Muse, at cmuse@sonic.net, or call (650) 325-2776, or send a note to: Charlotte Muse, 330 Pope St., Menlo Park, CA 94025. 330 Pope St., Menlo Park, CA 94025. February 16 – 7:30 p.m. The Writers of Kern Annual Spring Conference - Four Fabulous speakers: Anne Perry, Victoria Zackheim, Matthew Woodman, and Lois Henry. 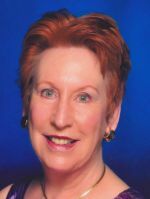 Treasurer - If any of you have a propensity for figures and would like to be an Executive Board member, please inquire to Carole Bumpus (below). The South Bay Branch is collecting submissions with the hope of publishing an anthology if enough material is submitted to each prompt. All members of CWC in good standing are welcome to participate. Please send all submissions and inquiries to prompts@southbaywriters.com. 1000 Words, literary fiction on your phone, tablet, or Kindle, is open for submissions through February 29 for the Summer 2016 issue. Due to the high volume of entries, we can no longer publish everyone's entry in our annual Carry the Light anthology so it's more important than ever to work on submitting your best work! NEW THIS YEAR: Contestants can upload their headshot and bio (75 words or less), blog and website links. These will be posted on our Literary Arts page by year to help writers promote themselves. Our literary stage events (June 11-18) will utilize the CWC motto "Writers Helping Writers," with an emphasis on mentoring. Volunteers from the SF/Peninsula branch will be on hand to encourage writers of all levels to enter our various contests and then attend our free workshops and presentations. The California Historical Society (CHS) seeks submissions of book-length manuscripts that make an important contribution to both scholarship and to the greater community by deepening public understanding of some aspect of California history. The 2016 CHS Book Award carries a $5,000 author advance for the winning manuscript and publication by CHS/Heyday, with an awards ceremony, promotion, and an author tour. Find more at https://heydaybooks.com/chsbookaward/. Deadline: May 1, 2016. Will consider published, self-published and independent publisher non-fiction, fiction, children's books, young adult, how-to, spiritual, wild card (anything goes! ), unpublished stories, screenplays, genre-based works, science fiction, biographical/autobiographical, sequels, business and history works. This is a story-oriented competition and there is no date of publication restriction. Registration submissions in each category must be received by the close of business on June 25, 2016. Entry forms are available online at www.hollywoodbookfestival.com or may be faxed/e-mailed to you by emailing HollywoodBKFest@aol.com. Multiple submissions are permitted but each entry must be accompanied by a separate form and entry fee. Advertise in the Literary Review! All ads submitted must be self-edited, print-ready, and will be published as received. Deadline for advertising submissions for the Spring (mid-February) issue is Friday, January 29, 2016; Summer (mid-August) deadline is Friday, July 29, 2016 and for the Winter (mid-November) issue the deadline is Friday, October 28, 2016. The Literary Review reserves the right to decline material deemed inappropriate at the discretion of the Editor-in-Chief. All ads must be emailed as a jpg file to advertisingCWC@gmail.com. See further details on our website, calwriters.org. Sylvester is a flasher in the Mission District. He might have been one of the greats. What prevents this promising man from rising to his fullest potential? Also, Laurel was accepted as a program participant at the World Science Fiction Convention in 2016. MidAmeriCon II, Kansas City, MO, August 17-21. Nanci Woody had a poem accepted into the Sacramento Poetry Society’s 2016 publication entitled, “SPC Tule Review”. The poem is, “These Hands”. She also has a short story, “Aisle of Death," that will be published in April in “Fear of Monkeys”, ezine and a short story. 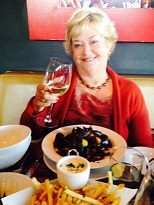 Maurine Killough's poem the towel of kitchen was published in the Pacifica Tribune the week of January 26th. Do you have news? What writing revelations have you had? Please let us know what you're up to. We might like to include it in the next Newsletter!